Observation - Iceland Gull, Co. Antrim - UK and Ireland. Description: Probably a second winter bird. Associating with other gulls near outfall pipe. Probably a second winter bird. 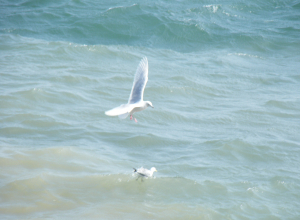 Associating with other gulls near outfall pipe.